Preservation at Stonehouse community is sold out and is not in active development by builder. If you are interested in Preservation at Stonehouse or similar new home communities, contact us today! Our agents are very familiar with new and newer construction in Toano, and can identify resale opportunities in Preservation at Stonehouse, as well as builder inventory available in nearby or similar communities in Toano. To view more pictures, interactive maps and the full, detailed description of the Preservation at Stonehouse community, please Login. New home communities like Preservation at Stonehouse don’t come along everyday. Building a new home on this pristine land can be money well spent. Preservation is the latest addition to the Stonehouse community and centers around the native landscape, which is Tidewater through and through. Located just minutes north of Williamsburg in Toano, VA, this neighborhood provides easy access to military bases like Naval Weapons Station Yorktown, Camp Peary and Joint Base Langley-Eustis. While building a new home can be done just about anywhere, this land practically begs for a chance to showcase the latest home designs. With 3,600 acres of lush forests, serene marshes, and flower-filled meadows, this place is a backdrop like no other. Preservation at Stonehouse borders York River, Ware Creek, Richardson’s Mill Pond, York River State Park and marshlands. Other new home communities just don’t stand a chance against this heavy hitter. Water, woods, wetlands- this place has it all. The amenities in this community put five-star hotels to shame. Building a new home in a place where every activity under the sun is at your fingertips can add years to your life. Various locations offer canoe and kayak launching spots for the adventurous at heart. Pools, fitness facilities, tennis courts, picnic areas and walking trails are just for homeowners to use at their leisure. There’s even a water slide, softball field and playground. Tradition at Stonehouse Golf Club gives the golfers plenty of land to enjoy the game. All of these perks make other new home communities pale in comparison to Preservation at Stonehouse. This region of Virginia is one not easily forgotten. Living in Toano gives just the right amount of seclusion from busy Hampton Roads without sacrificing any city conveniences. Both Richmond International Airport and Newport News/Williamsburg International Airport are less than an hour’s drive away. A mere 15 minutes away, Colonial Williamsburg offers shopping, entertainment and fine dining for everyone. 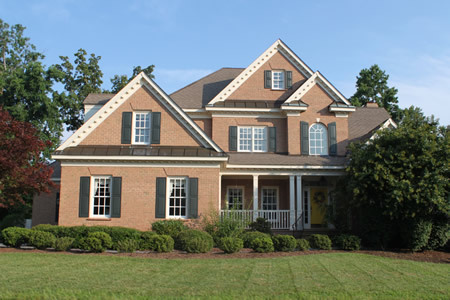 Experience all that encompasses Preservation at Stonehouse when looking at building a new home. Compare this neighborhood with other new home communities and note every difference. Come enjoy all this land offers and feel like a neighbor from the very beginning. Send me more information about communities similar to Preservation at Stonehouse. Our agents gladly offer FREE property tours of Preservation at Stonehouse, Toano and homebuyer consultations to all serious buyers.